Despite a recent surge of interest in the role that self-identity plays in the process of desistance from crime, prior research has been mostly qualitative and conducted with small samples of adult offenders. In addition, while what people expect to become in the future can also function as motivational and sustaining forces toward prosocial behavioral outcomes, empirical tests of identity-based theories of criminal desistance have focused on the measures of current self-identity. We intend to address both gaps to expand the scope of desistance literature. Drawing on 11-wave panel data of serious adolescent offenders, a modified version of negative binomial random-effects models is applied to estimate the within-individual effects of expectation of positive future selves on self-reported offending and official record of arrest. We found that a shift in a youth’s expectation of positive self-identity in the future is significantly related to a downward trend in both offending and arrest outcomes. This finding holds even after controlling for unobserved time-stable sources of heterogeneity and other important time-varying sources of potential confounders. 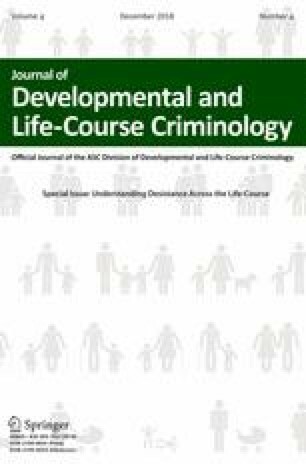 This study not only explores one of the understudied topics in the desistance literature but also provides evidence-based knowledge on which characteristics need to be addressed to initiate and maintain prosocial life styles among serious adolescent offenders. Allison, P. D. (2012). Beware of software for fixed effects negative binomial regression. Downloadable at http://www.statisticalhorizons.com/fe-nbreg.